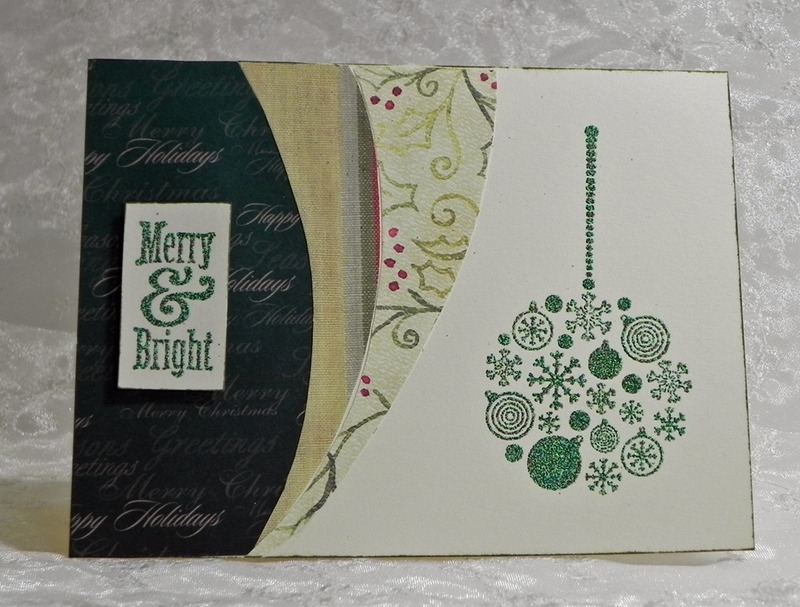 Wednesday is card sketch day on Splitcoaststampers. I am enamored by the one posted today. The only way I could think to reproduce this was to trace the sections and cut them out individually. A little time consuming, bordering on frustrating to get all the curves right so they fit together. I developed a short cut eliminating half the curved cuts. I prepared by placing my original templates on larger pieces allowing half of the cuts to overlap it’s next piece. I have only 3 curved cuts now. 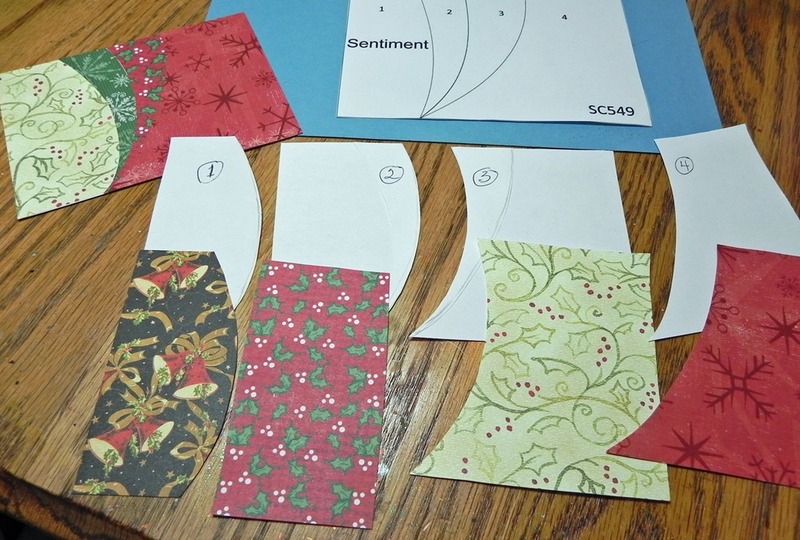 Piece 1 is curved and will lay on top of piece 2 that has no curved cuts and can be a rectangle only. 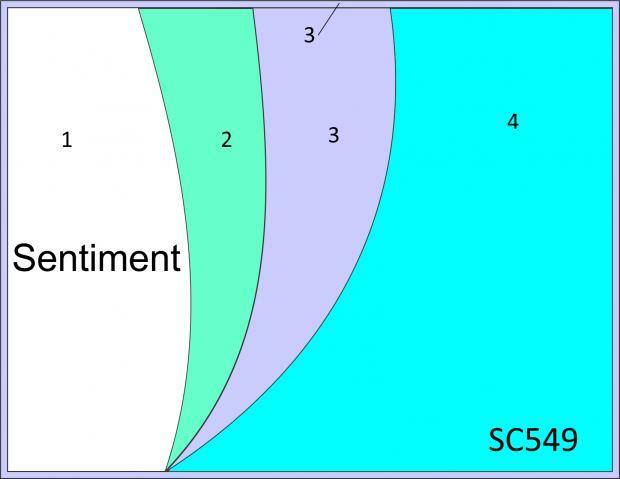 The curve of piece 3 will lay on top of piece 2, and the curve of piece 4 will lay on top of piece 3. Normally a very frugal person, I admit I have some waste here, but worth it I’m sure you will agree – lol. This is the first card I did with my individually cut pieces – 5 cut curves. I cut only 3 pieces of paper and pasted them to the cream card, on which I had heat embossed the image. The sentiment was also heat embossed, cut out, edges inked with Green Olive from Fun Stampers Journey and popped up with Journey foam squares. The stamp set is from Fun Stampers Journey found here by Kristy. They are a really cool new stamp and die company, worth checking out. I am looking forward to making more cards from this sketch! I was asked at the last minute yesterday to teach a knitting 101 class to kids today. The original teacher canceled at the last minute. So since I crochet they asked me if I could do it. I did it once when Kris was a baby. I friend had taught me and I didn’t enjoy it so I went back to crocheting. 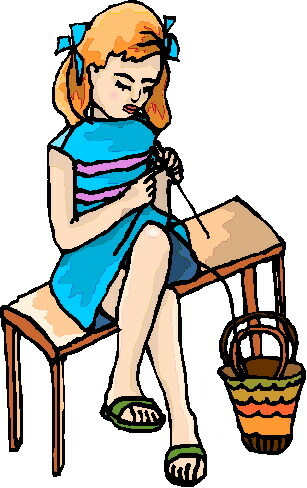 Then, 8 or 9 years ago Kara asked me to teach her how to knit so I pulled info off the Internet and got her started. Was this any different? So I said I would because I really wanted to teach. The instructor’s directions were printed and given to me. I borrowed a pair of needles from a friend and I already have plenty of yarn. I tried following the instructions. Today there is no reason to suffer, struggle or fret – I went to YouTube. With I bit of trial I learned what I hoped would be enough. Morning came and so did my 3 little girls: two ages 8 and one 13. They were sweet and nice girls too. I was thankful for that. I really didn’t need a smarty pants one with a mouth if I couldn’t pull it off. Right off I started the class with one of those pep talks you see the warriors in the movies give the army when they are about to go into battle. It energized us all and away we went. It turned out amazingly well. They all learned the basics beautifully and were casting on, knitting, and binding off by the end of the three hour class. I was exhilarated! I can’t wait to teach another class. 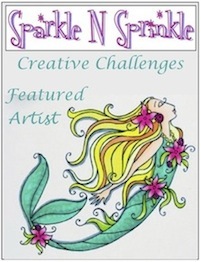 I do have 3 scheduled for September and October which are paper crafting related, one I wrote. Maybe I will get to fill in again before then.